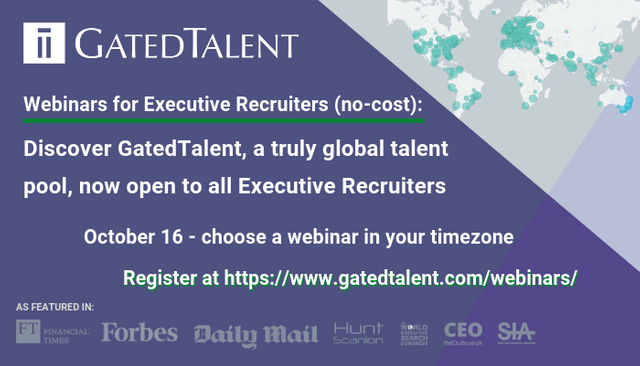 200+ Executive Search firms from 30 countries have signed up to GatedTalent – the private platform that allows Executive Recruiters to connect and engage with senior-level Executives. GatedTalent has recently seen an unprecedented growth in new member registrations, now representing more than 100 nations. 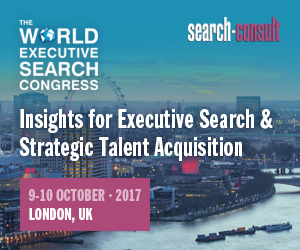 Approximately 10% of its members are current CEOs - a truly global talent pool, now open to all Executive Recruiters. They’ve all done this to be “on the radar” for your next search. Join one of the webinars to learn how the platform works from a recruiter perspective and about its availability to the wider Executive Search community.